Deliveroo, the restaurant delivery app that is one of the most prominent members of Britain's 'gig economy', has snapped up £285m in new funding from two US-headquartered fund management giants. Sky News can exclusively reveal that Fidelity and T Rowe Price have agreed to invest in the UK-based technology start-up as part of a deal valuing it at $2bn (£1.48bn). The two fund managers are investing in Deliveroo as part of a $385m fundraising that could be announced as soon as next week. Bankers at JP Morgan Chase are understood to have orchestrated the financing. The deal's timing is particularly notable because it will come just days after Uber, another big player in the gig economy, was dealt a stunning blow by London's transport authorities. Uber was informed on Friday that its existing private hire licence would not be renewed after this month - hours after Sky News had disclosed the likely outcome. The investment in Deliveroo by Fidelity and T. Rowe Price - which between them manage about $3trillion for clients - will send a fresh signal about the restaurant app's long-term intention to list on the public markets. Deliveroo's latest fundraising will be announced nearly three months after it kicked off talks about an investment by a giant technology fund backed by Apple and the Saudi Arabian state. The Softbank Vision Fund ultimately decided against pursuing a stake in the food delivery company because of its simultaneous discussions about investing in Uber, according to reports this week. The ride-hailing service competes with Deliveroo through its operation of the rival service UberEats. However, sources close to Deliveroo said it was keen to secure backing from mutual funds which had experience of investing in fast-growth tech companies, then helping them to go public. Deliveroo, which has faced controversy over its treatment of the riders who work for it, is expected to disclose that it has raised more than the $275m it attracted from investors just over a year ago. This week, its holding company reported in a filing lodged at Companies House that it saw sales grow by more than 600% last year to £128.6m. At the same time, however, losses increased from £30.1m in 2015 to nearly £130m last year. Such losses are not unusual among technology start-ups, which invest heavily to gain scale rapidly during their early years. Sources said that the latest investment from Fidelity and T. Rowe Price would underline shareholders' faith in Deliveroo's management to generate substantial profits from the business. The valuation that will be attributed to Deliveroo by its new fundraising will smash the £1bn barrier that leads to tech companies being labelled as 'unicorns'. Its founder, Will Shu, will see his paper fortune soar in value as a result of the new financing. The impressive growth in Deliveroo's value will come despite of repeated controversies surrounding the company's handling of workers' rights. Earlier this year, it bowed to pressure by overhauling the "supplier agreement" it uses to set out the terms on which thousands of couriers are employed. Deliveroo, which handles takeaway orders for restaurant chains such as Byron, PizzaExpress, Rossopomodoro and Wagamama, uses about 15,000 delivery riders in the UK. It recently removed a stipulation in earlier contracts saying that couriers could not challenge their self-employed status at an employment tribunal.‎ ‎ Its new employment document also includes the explicit clarification that couriers can work for other companies at the same time as they undertake work for Deliveroo - a key change that MPs had urged in a critical report on the so-called "gig economy" earlier this year. It also says that riders will no longer be required to give Deliveroo notice of their intention to stop working for it, although the company will still give one week's notice if it wants to terminate its agreement with riders. 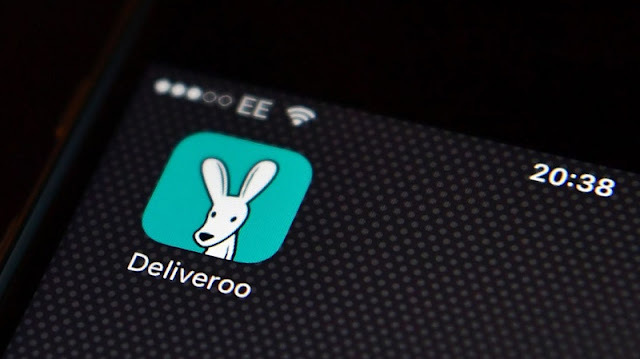 It emerged in March that a group of 20 Deliveroo couriers were drawing up plans to challenge the company's assertion that they are self-employed contractors in a bid to obtain employment rights such as the minimum wage, sick pay and holiday entitlement. Deliveroo last raised money in August 2016 from investors including General Catalyst Partners, a US-based firm. Deliveroo, Fidelity and T. Rowe Price could not be reached for comment this weekend.